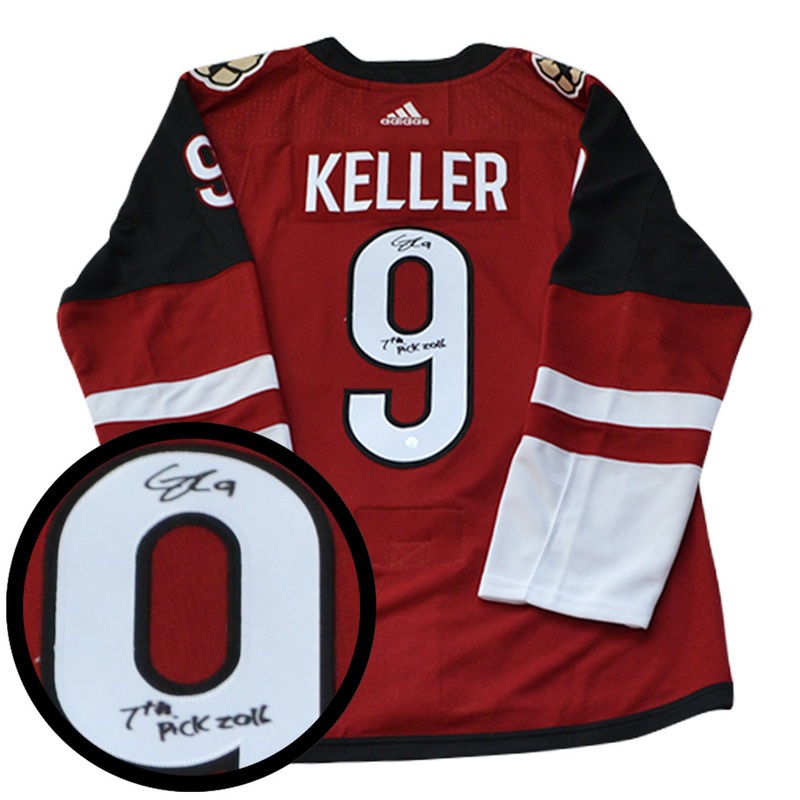 Clayton Keller Signed Jersey Coyotes Pro Red 2017-2019 Adidas Inscr "7th Pick"
This jersey comes personally signed by Arizona's young stud, Clayton Keller. This jersey comes with the inscription "7th pick". Keller had a great first year in the NHL putting up 23 goals and 65 points in his rookie season. Keller was drafted 7th overall in the 2016 NHL Entry Draft. Keller was a finalist in the Calder Trophy race in 2018 after being edge out by Mathew Barzel. Keller beat Phil Kessel's record for points in the US Development Team with 189 points from 2014-16. This NHL & NHLPA licensed product comes with a Frameworth hologram and COA to ensure the authenticity of the autograph.